This week is flying by! We have been busy with our normal hectic schedules and getting ready for a big event that is taking place tomorrow. It’s a Candyland-themed Spring party for kids of all ages. We’ve made ice cream cones out of spray foam insulation, centerpieces out of lollipops, and that’s just the beginning. We can’t wait to share pictures with you next week! Until those fun images appear, we would like to share with you a more adult party that we planned last week. The event was an awards ceremony for a client. 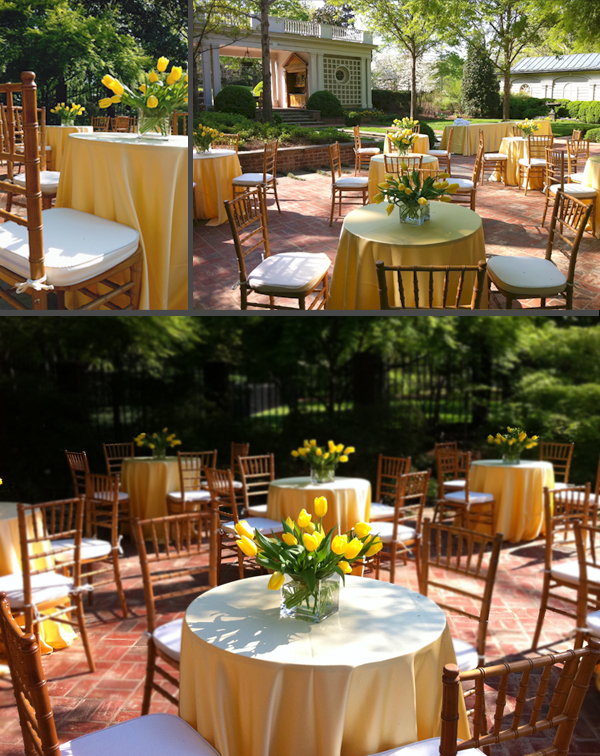 The lovely yellow tulips and table linens combined with the natural wood chivari chairs were the perfect setting for a beautiful Spring night.